Nowadays, with so many great online CS resources such as Scratch, getting into code isn't that hard. But, where we see a lack of support is the step from a drag and drop coding interface to a real full scale language. Ditto is meant to be that step. 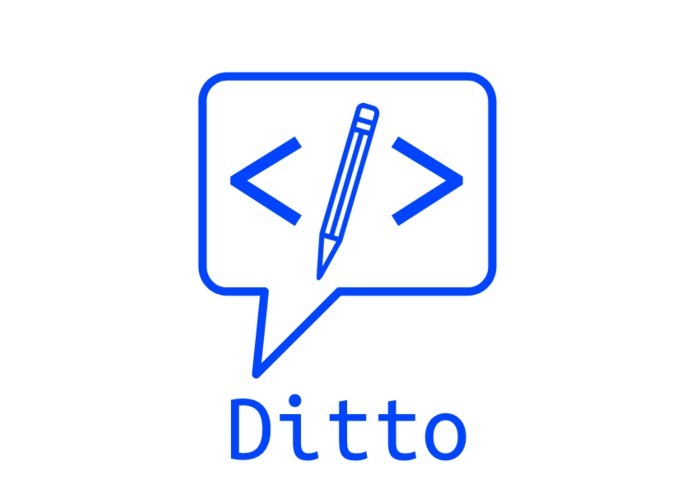 Ditto essentially is a basic-like language, except it's syntax is a cross between English and CS conventions. We spent a long time designing the syntax to give beginners a easier syntax to handle, but all the while still implementing and teaching basic CS concepts. We had a lot of time figuring out how to properly tokenize and parse the language in a way that was versatile but still worked. After looking at a number of libraries, we decided to write these functions ourselves. We're really proud of the fact that we've created a functional computer language within the constraints of 24 hours. Since we've never really done anything of the sort, we're proud that we manage to handle it. We learned a huge amount about regex, tokenizing, and parsing - all the key components to writing a computer language. In the future, we wish to add more functionality not only in the core package, but also as external modules. I created regex syntax codes for every keyword and identifier in our programming language, which were then applied to each line in our compiler so we could identify the function of each line.